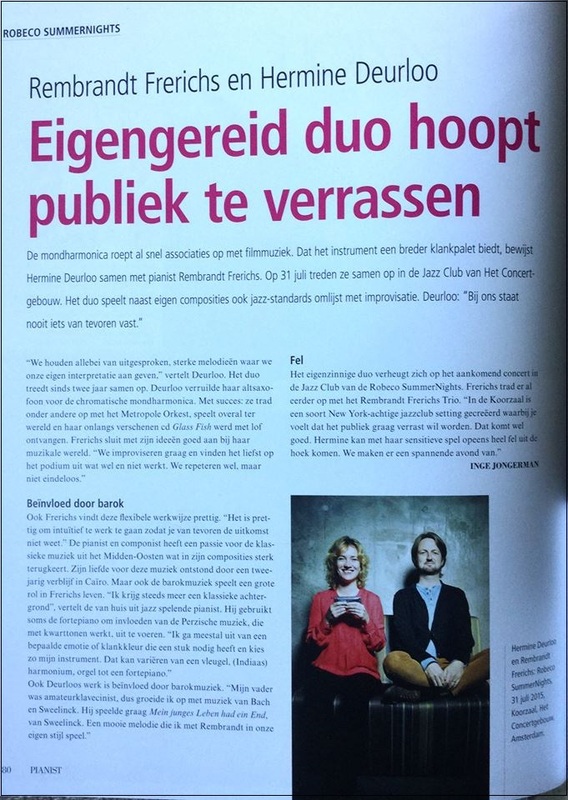 Hermine Deurloo and Rembrandt Frerichs have been performing together on the chromatic harmonica and piano since 2013, having given many concerts since that time. 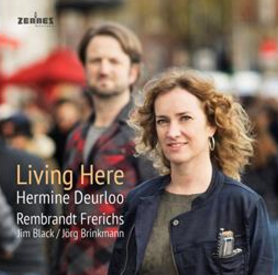 “Living Here” (ZENNEZ Records), their new album, recorded together with Brooklyn-based drummer Jim Black and German cellist Jörg Brinkmann, presents an inventive interplay led by Hermine’s gentle, lyrical, and fluent voice on the harmonica. Together, they bring a mixture of exciting improvisation, strong melodies, and their own compositions. 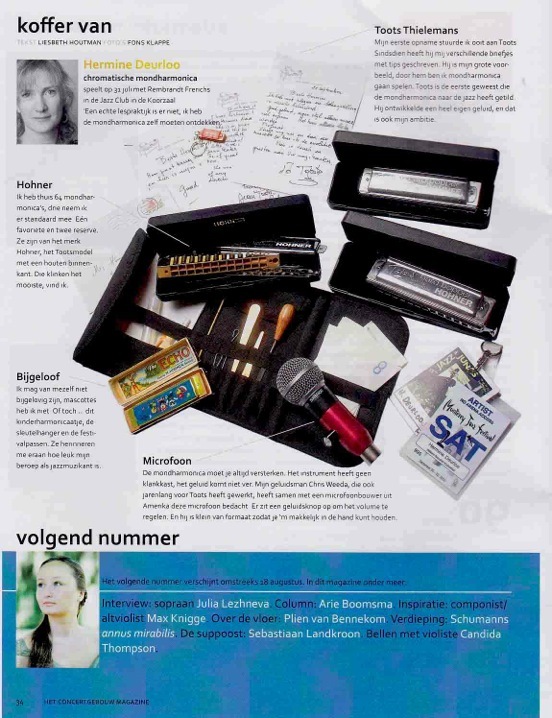 Hermine Deurloo, inspired by Toots Thielemans, playfully turns the chromatic harmonica into a real jazz instrument. 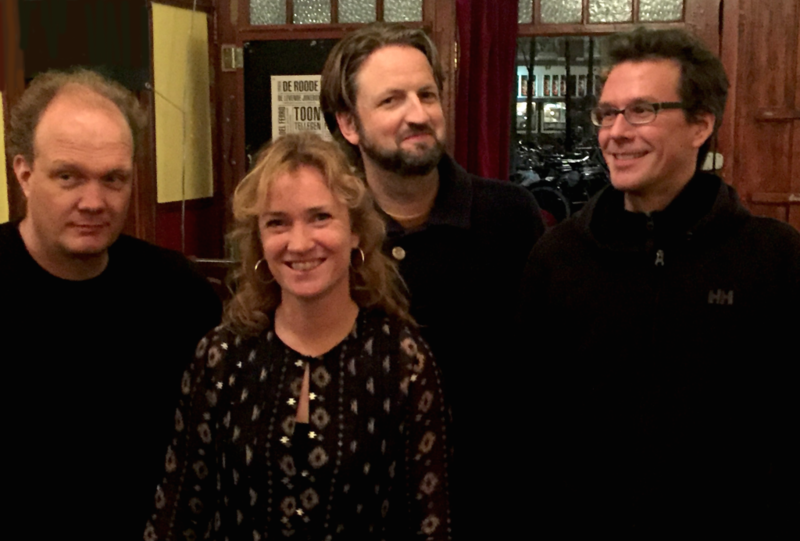 Over the years, she has played together with, amongst others, The Metropole Orchestra, Het Willem Breuker Kollektief, Jesse van Ruller, Candy Dulfer, Han Bennink as well as musicians from the New York downtown jazz scene, such as Tony Scherr. Rembrandt Frerichs is recognized by the international press as an adventurer on the piano and a master of his instrument. In his music, you can hear the energy of improvised jazz and the lyricism of Oriental music. 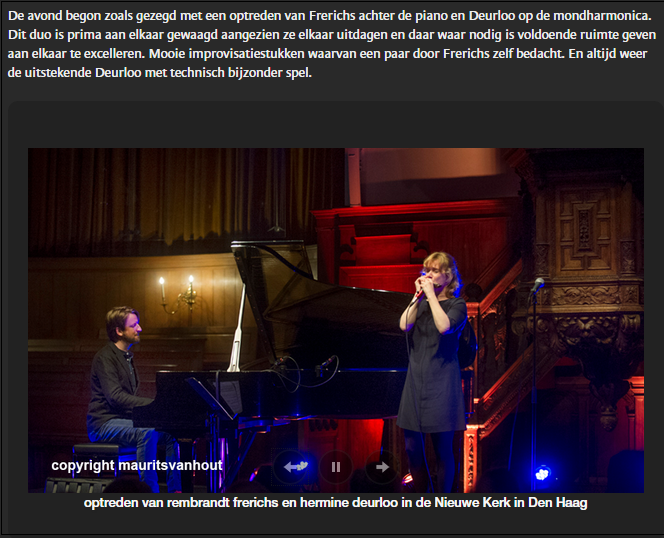 He plays “music of the future where boundaries disappear from the ear” (Trouw, a Dutch newspaper). He’s played in the legendary Jazzclub Birdland in New York and his music has taken him to many festivals and clubs around the world. In 2014, his album was nominated for a Dutch Grammy, the Edison Award. 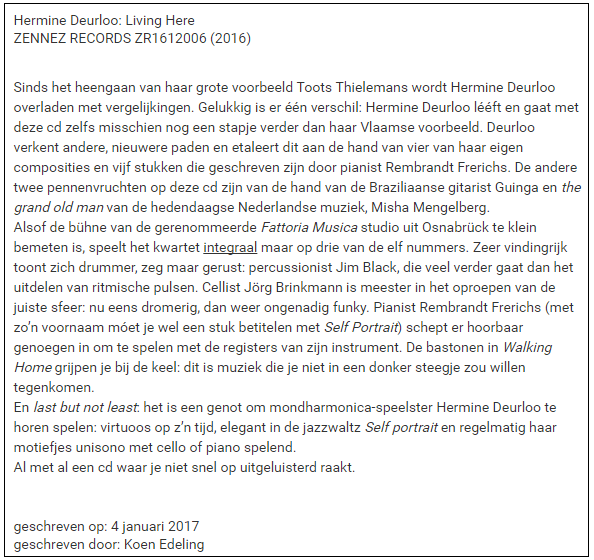 Jörg Brinkmann (cello, Eric Vloeimans, Fanz van Chossy) has released more then 20 records on various well known record labels. The avangarde cellist expands the boundaries of the cello in his very own way to great astounding effect. Accompanying on the CD, drummer and percussionist Jim Black has become one of the most in-demand drummers in avant-garde jazz and experimental rock since emerging as a key member of the New York downtown scene during the ’90s. In live concerts, well established drummers, such as Julian Sartorius and Vinsent Planjer have joined in.